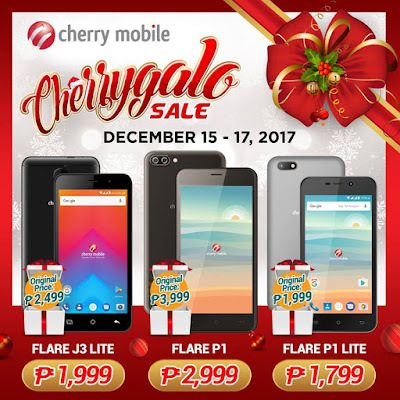 Cherry Mobile's Cherrygalo Holiday SALE is back! Check it out on December 15-17, 2017! Get as much as P1,200 discount when you buy any of these three smartphones (Flare J3 Lite, Flare P1, and Flare P1 Lite) from Cherry Mobile stores and kiosks nationwide.